Investment is an activity which everyone should be involved once they start earning. But where to invest, when to invest and how much to invest are the crucial questions the investor could get a professional advice from a qualified advisor. An investment is an asset purchased today in order to have an appreciated value in the future for a specific purpose or for rainy days. One can presume that the financial Consultant is like a doctor who is going to provide you a financial advice based on thorough diagnosis. He will also look at the priorities and the budget before offering a tailor made solution. IIK readers, these are the words of wisdom shared by one such financial consultant, Mr. Sunit Arora, the General Manager of the reputed finance institution, M/S NEXUS Financial Services. 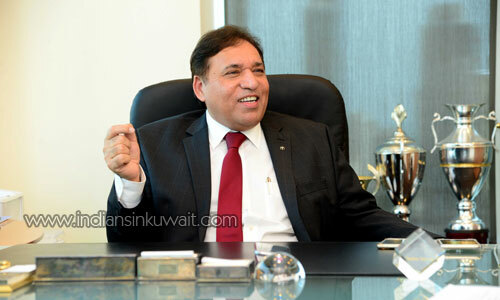 IIK took the opportunity of interviewing this enterprising personality in his office in Sharq. The office and his cabin walled by tough but transparent glass to get a panoramic view of Kuwait city also conveys metaphorically that his office dealings in insurance and finance is transparent and clean. Read on for some interesting aspects on financial planning. IIK: How did you come to Kuwait? SA: Kuwait is not new to me since my parents were living in Kuwait. I used to visit Kuwait regularly to spend my school and university annual holidays. As a youngster, I was always enchanted with Kuwait’s life style and always enjoyed being here. I came here on a dependent visa in the year 1980 and then started looking for a job. I started work as a salesman in a company named Gulf Spring where gradually through hard work and lot of struggle became a business partner of that company, finally. And then Iraq invasion happened and I was forced to relocate back to India with my family including my parents and kids. While in India I followed my passion – finance and became an official stock broker in Delhi Stock Exchange. After Liberation, I went to Dubai to work there with a British Insurance & Investment Group called Eagle Star. But my interest was in Kuwait, since I knew the place well. Later, Eagle Star was taken over by Zurich, one of the largest financial services group. In 2006, we became Nexus Financial Services an Independent Financial Advisory. Presently, we are the largest entity in the whole of Gulf region and second largest in Singapore having offices in Dubai, Abu Dhabi, Bahrain, Qatar & Kuwait. We also support CII from UK for the educational enhancement to our Consultants. I myself got the qualification FAIQ (Financial Advisor International Qualification) from Chartered Insurance Institute, UK. IIK: That’s very good to hear Mr. Sunit. Lead from the front as a leader. What does your company do? SA: As a Company, we provide financial solutions to individual, families & corporates with the array of suitable products from different Companies. Also, I would like to mention here, that, Nexus is a group of qualified professionals giving tailor made solutions to their clients. Even our recruitment, we choose the best professionals & further provide them intensive training and support them for perpetual certifications. The financial planning for the clients is based on the needs analysis and the clients priorities followed by financial solution and then backed up by regular service. We do financial planning for individuals and also serve the corporates like pension planning scheme. We are not representing a brand, a company or a scheme, rather we represent our clients. IIK: As per your experience, should there be a paradigm shift in the thinking of Indian citizens when it comes to investment? SA: I am not candy coating my tongue when I say this, for the benefit of IIK readers. Many of us Indians start with investing in real estate and end up in real estate. I respect their intentions as it is a good way of investment but up to a limited extent. Similarly another very famous option among us Indians is to put it in Fixed Deposit. In a limited extent this is fine too, since, it is very good for liquidity, but in a long run it cannot cover the inflation. Too much liquid cash will have a negative growth factor and lose its purchasing power. In the context of real estate, it is an asset class with a good growth potential, but, again should have a limitation because of the issues like lack of liquidity, complicated and tightening of regulations, generation of black money, taxes etc. The real estate is going through a challenging period for now & the coming future because the main driver for Indian property has not been the demand and supply but the black money. With the increase in transparency, demonetization and the stiff regulations, the property prices would be affected negatively. The investor in such a case is losing from four sides: Money value is depreciating, repayment of interest rate, the value of the real estate goes down and the real estate needs further maintenance. The main point I am trying to make is Diversification- this is the key. One part of the diversification is stocks and mutual funds. This is where we come in. We can divide the risk portfolio depending on the attitude and aptitude of the client. The best thing is to manage the funds through equities and bonds. Look at them from medium to long term perspective. That takes very good care of your investments. This is called balanced portfolio. Also, would like to mention, here the importance of hard currency portfolio. All the investments in Rupee will have an effect on longevity or sustained purchasing power of the assets. In a nutshell, one should also have a niche segment of the portfolio in US Dollars or hard currency. IIK: How does your company decide on the duration of investments? S.A.: Every investor should understand their needs whether those are short term or would not be required for a long term. Short term can be looked at for coming two years, medium is two to seven years and long term is above seven years. We are having a team of financial analysis in our Nexus Investment Board. They create Matrix and give a regular feedback on the markets to the Consultants. This system allows the choice of funds which can be chosen by Investor, Consultants, Matrix and/or the portfolio service. IIK: Do you cater to individuals or only corporates. SA: That’s a good question. We definitely provide financial solution for Critical Illnesses, Life Protection, Education Planning, Pension/Retirement Planning as well as Wealth Accumulation Plans for individuals. We also provide General Insurance for the risk coverage against Life, Workmen Compensation, Group Life, Group Medical, Professional Indemnity etc. for individual and corporate. We believe there is a major change coming soon in the field of medical insurance. The liability of providing medical facilities to each individual can be shifted to employer for each employer though the group medical planning instead of the Govt. providing the Govt. medical facilities. In Dubai, it has already been effected. That is a good and effective change & it might come to Kuwait too in the coming future. Also, as a major broker, we could provide a big insurance service from covering a ship to a small travel insurance coverage, too. IIK: Coming to individual needs, does your company take care of the needs at both ends of the spectrum of the salary bracket or only at the higher end? SA: We do not differentiate while giving the advice to our clients who are saving/investing KD 50/- per month or to another client investing million dollar in a lump sum portfolio. In fact, we have a broad spectrum of clients earning KD 200 per month to a person earning over KD 20,000 per month. We can also give a small protection layer to the lower end of the spectrum to a jumbo protection plan for the high net worth clients. IIK: How do you cater to the expat repatriation? SA: All our insurance/investment plans are portable. With my past experience, the clients move to different parts of the world for the new opportunities or when they go back to their homes, can receive their pensions/claims or any matured amounts without any issues. The investments as well as the policies are truly global in nature. IIK: Do you advise individuals should approach a financial consultant before investing? SA: In India, investors generally follow, traditional ways of investing their money mainly in real estate or keeping the money in bank deposits. Some people also invest money in direct equities (shares), gold or even through chit funds. The concept of independent financial advisor has not been prevalent much. In western countries, people even pay a fee (per hour) to an advisor like they would pay to any other professional like lawyer or a doctor. In India, people still buy LIC not to create a protection layer for their family but just to save their money from taxation. But, I also would like to mention that nowadays awareness for using professional advice is improving but still the percentage is low. IIK: We hear you are a prominent member of MDRT. Can you tell us your journey to MDRT? SA: Million Dollar Round Table (MDRT) is the premier association of financial professionals, is a global independent association of more than 62,000 of the world leading financial services professionals. The MDRT member demonstrates exceptional professional knowledge/strict ethical conduct & outstanding client services. It is very difficult to get the MDRT Membership because of the high standard set to achieve the excellence. Fortunately, I have been a MDRT member for last 21 years and now a Life Member. 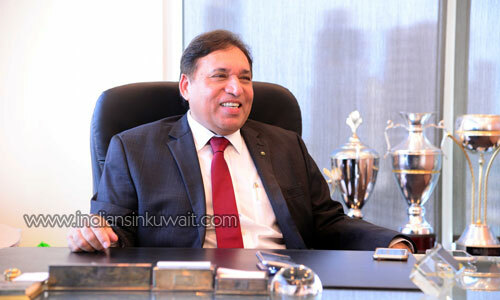 I have also been in a leading role as MDRT Chairman for Kuwait, Zonal Chair for MENA (Middle East and Africa) region and a Regional Chair for Indian sub-continent, MENA & UK, Europe & Ireland. IIK: Does your company have a Corporate Social Responsibility (CSR) policy? SA: Yes, we as a high standard and established global company do have CSR policy. We have a philanthropic department who are involved in activities like providing education and infrastructural facilities to the needy through a systematic approach in many countries including India. IIK: Thank you Mr. Sunit for your time and valuable insight into investments and their importance. SA: Thank you IIK for providing me this platform. As a financial advisor, I would like to invite all IIK readers and their friends to my presentations & seminars which we organize on regular basis for the benefit of public. Informative article and insight from Mr. Arora, thank you. When and where does Mr. Arora organize presentations & seminars? And how can one enroll for these seminars? Sunit is my friend and we do play Squash sometimes and he plays as hard as he works.. I wish him all the best for the future. Smart Investing is very important topic, good insight given by Mr. Sunit Arora, it is useful to every one, thank you Sunit ji.